In a recent study at New York University which was conducted on 408 Dental patients by collecting their Gingival Crevicular Blood and testing it for haemoglobin A1c (HbA1c) during the period of June 2013 to April 2014, which has produced values which are almost similar to the blood taken from finger stick blood. 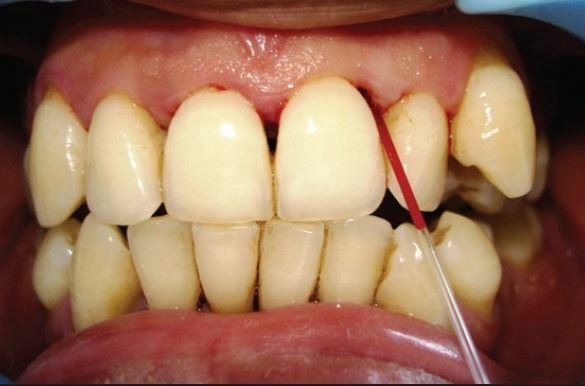 This confirms it that the Gingival Crevicular Blood can also be used to test for Diabetes and makes it a useful tool for screening in Dental Clinics. This study was published in the “American Journal of Public Health”, the study’s principal investigator, Dr. Shiela Strauss who is the associate professor of nursing and co-director of the Statistics and Data Management Core for NYU’s Colleges of Nursing and Dentistry said “In light of findings from the study, the dental visit could be a useful opportunity to conduct diabetes screening among at-risk, undiagnosed patients — an important first step in identifying those who need further testing to determine their diabetes status,”. The Study was termed as “The Potential for Glycemic Control Monitoring and Screening for Diabetes at Dental Visits Using Oral Blood,” can be sued to screen for diabetes during a regular dental visit or examination, this improves the potential for identifying patients with Diabetes who never knew they had the disease as the incidence of testing is being improved by including Dental visits too in the Screening of the condition. informative indeed! thank you. in my opinion, it is the dentist who usually diagnosis diabetes in a patient during routine clinical examination.